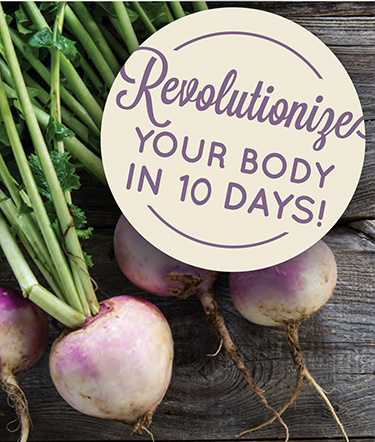 Revolutionize your body in 10 days! Do you struggle with nagging cravings that sabotage your efforts to eat healthy? Do you wonder if there are foods that could be the cause of belly bloat or prevent weight lose? Would you like to break free from eating habits you know are bad for you? Would you like to feel more energy throughout the day so you can do more of the things you love? If you answer “yes” to any of those questions, this program is perfect for you! During this program you’ll discover and explore what foods work best (and which don’t) to give YOU optimum energy, kick start positive changes in your body, and reduce your waistline. Did you know that toxins love to find a home in our fat cells? The more toxins stored in your body, the more fat your body needs to hold on to. Removing toxins and reducing your exposure to new one’s results in overall enhanced health and can help your body to release excess weight. This program is about removing and reducing your exposure to the various food and environmental toxins we’re exposed to. 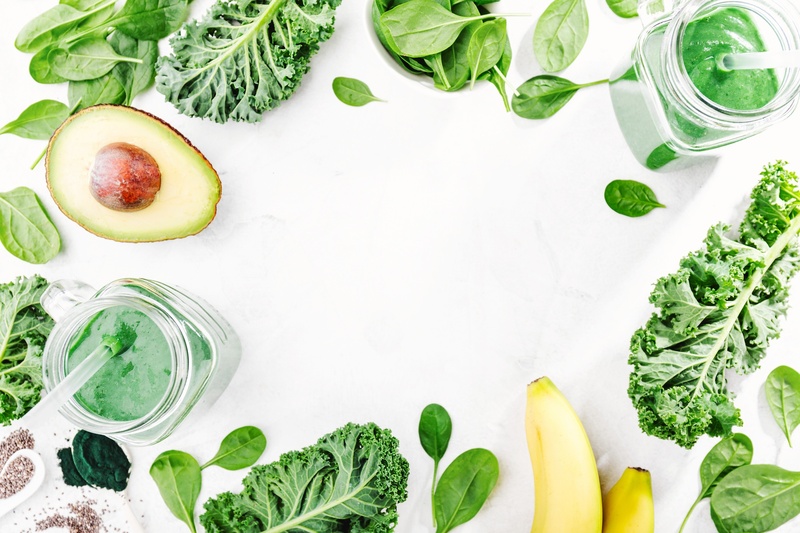 POST DETOX BONUS ($150 value): Receive a complimentary 30-minute private virtual call with Bonnie, LifeScape Nutritionist and 10 Day Detox creator, to further your success and support you in your individual health journey. I’m Bonnie Roill, LifeScape’s Virtual Nutritionist and creator of the 10 Day “Detox with the Dietitian” program. As a Registered Dietitian Nutritionist, Accredited Hormone Support Coach, and Certified Health & Wellness Coach, my passion is to help you use real foods and lifestyle practices to help you create a healthier body and more enjoyable long life. Combining my 35 plus years as a Registered Dietitian and my accredited hormone support background, I’ve put together my best resources to create a clean eating program that addresses resetting hormones to take the process to the next level – making permanent changes in how you feel, how your body responds to stress, and to positively impact the process of aging. My question to you - are you ready to feel lighter, focused, energized and committed to creating a happier and healthier you? What's the difference between this program and others? In the old days, "dieting" meant calorie counting. Today, science shows that we need to focus on the quality of our food choices, sometimes even more that the calories. This detox isn't about starving the body, fasting, juicing, eating strange food combinations, or taking a variety of supplements. This program has you take a break from your usual eating patterns to help identify food sensitivities, help you break sugar cravings, and use foods scientifically proven to help your body’s natural detoxification process work even better. Foods are used to re-balance hormones to create a healthier metabolism leading to easier weight loss, increased energy, and so much more! This program takes you step-by-step through a simple whole food eating plan that will make a huge difference in how you feel, sleep, and look – in just 10 days! This comprehensive, guided program includes everything you need to be successful in your detox. Click to view special surprise! A complete guide so you know what to do and when. An easy to follow handout to print out and post on your fridge to help you stay on track. Includes delicious recipes! You won’t feel deprived with this amazing menu and you’ll know exactly what to buy and cook. Plus, you don’t need to be a culinary chef to create these meals! Thank you for helping me dial into new foods, recipes, and a mind set. I’ve lost 1 1/2 inches off my waist along with 5 pounds! I have more energy and feel better. The meal plan was extremely helpful, no more guessing what to eat. I’ve learned better food options for snacks too. My husband continued with the program an additional 3 weeks and has lost 20 pounds! I’ll be signing up for the next program. This program worked well for me because it was not too strict and allowed me to be open to following the program. As a mom and business owner, I also loved the flexibility of being able to listen to Bonnie when it was convenient for me. Stop struggling with your diet. A whole-food based elimination detox is an effective way to create long-term changes while helping your body release stored toxins. 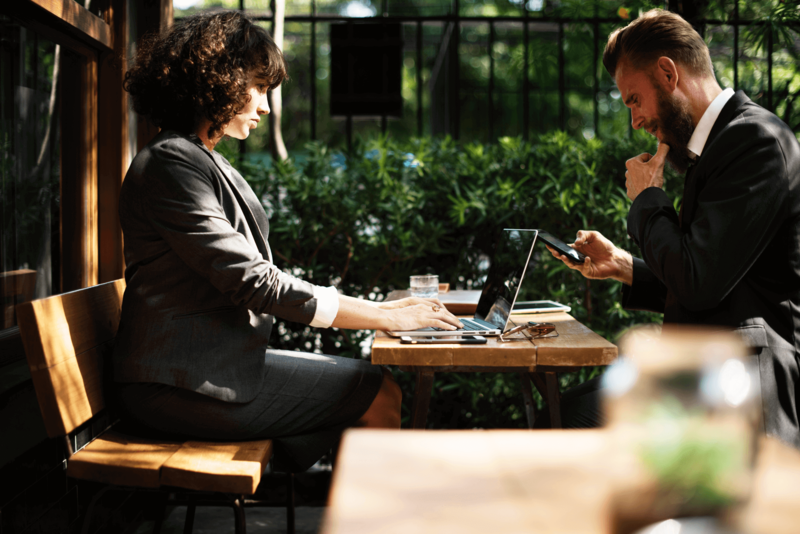 But with so much conflicting (and inaccurate) information out there, most people don’t know how to effectively use a detox to create lasting changes. This program will show you how! Why you should join the program. Life gets in the way of a healthy and nutritional lifestyle. It’s easy to fall back into old habits. This program helps you regain the motivation and momentum to return to a healthier way of being. Knowing where to start to eat cleaner and detox your diet can be tough to do on your own. This group program is designed to provide you with recipes for all meals to promote a whole-food approach to daily detox that you continue after the program finishes too!